Wayward Pines was a 10-episode horror/science fiction miniseries written by M. Night Shyamalan which aired on Fox between May and July 2015, based on the series of novels with the same name written by Blake Crouch. It wasn’t clear when it aired, even when the season ended, whether it was to be continued or not, but at the time this article is posting Wayward Pines Season 2 is less than a week away. The story begins as U.S. Secret Service agent Ethan Burke travels to Wayward Pines, Idaho to investigate the disappearance of two fellow agents who were last heard from as they approached the mysterious little town. After a car accident en route, Ethan wakes up in the Wayward Pines hospital, unable to contact anyone and unable to leave. In many ways it seems like a stereotypical small town, but there are big warning signs that something is not right in this little town–the strange things that people say, the strict rules the town keeps about not talking about your past and not asking questions. Meanwhile, back at home his wife and son are starting to wonder about him–as a Secret Service agent he can’t ever talk about his work, but after he’s been gone for several days without any news from his office, they set out to find him. 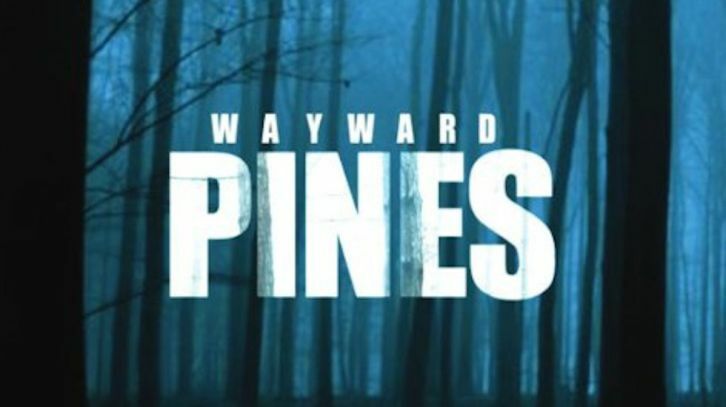 I started watching Wayward Pines with my family, expecting it to be fun and weird but probably not that memorable–it felt in its initial description and promotions to be something very much like Twin Peaks. Don’t get me wrong, I love Twin Peaks, but Twin Peaks is its own weird little thing and I’d be concerned that something that tried to be Twin Peaks would just be a pale comparison. But it wasn’t a Twin Peaks ripoff in the slightest. Occasionally there was that same weird small town vibe, occasionally feeling like Twin Peaks in some small way, or like a Stephen King sleepy little town horror setting. But these similarities were passing and more to do with a well-captured mood than with deriving too closely from another show. It’s hard to say much more about what the events of the show without getting into major spoiler territory. Even though I started with a skeptical attitude, it got me interested in the first episode, and only increased my interest as the show went on. One thing that made the show different in a way that might be considered good or bad is that it has major shifts in almost every episode. It’s a show built around mystery, but it’s not stingy with revealing the answers to those mysteries–almost every episode has a major revelation. I’m surprised that they put all of that into a single miniseries instead of expanding it out to a few seasons–some of the shifts would’ve made epic season finales and the shows events could easily have been spread out with plenty of good meat to fill several seasons of TV with gradual reveal of those mysteries rather than stacking them back to back. On the one hand, the show was over so quickly this way, on the other hand it’s fast-paced and never dull and kept me interested to the end. What makes the best TV shows stand out to me tend to be the writing and the casting, and both are very good in this. Particularly notable in the casting were Matt Dillon, Carla Gugino, Melissa Leo, and Terrence Howard. Matt Dillon as Ethan Burke is not always likeable, and he’s made some bad decisions that still haunt him, but as the protagonist in this tight situation he is competent and compassionate and able to think on his feet. I’ve liked Carla Gugino for a long time, and this is probably my favorite of her roles–as a longtime resident of Wayward Pines she has had to adapt to survive in this strange little town and the conflict inherent in every choice she has to make is well portrayed. Melissa Leo plays Pam, the nurse at the hospital, the first face that Ethan sees upon waking up in Wayward Pines–her performance lends a lot of the initial sense of wrongness about the town in the way that she acts. Terrence Howard plays Sheriff Pope, the law in the town, and is the most clear villain in the beginning of the show, giving a great performance as a quirky but dangerous man. It wasn’t clear when the miniseries ended whether this would be the end of Wayward Pines. The ending left some potential for that, and there had been some talk of the show being renewed, but some ads for the show referred to the final episode as a series finale rather than a season finale. Since watching Wayward Pines Season 1, I’ve also read the entire trilogy of books that it’s based on. As you might guess, the TV show has the same premise and has some similarities but some differences–I find such things interesting to view side by side as if they were alternate realities. The TV show is basically the trilogy of books tightly compressed, with a lot of subplots left out entirely to fit it into a miniseries. But the way that the miniseries ended is not even slightly compatible with anything in the books, so Wayward Pines season 2 cannot possibly be based on anything familiar. It’s going to have to be something entirely new building off of the familiar setting and characters, so that’s going to be interesting. A reader of the book would be able to spot many but not all of the major plot points in season 1, but readers will have no better idea than anyone what’s going to happen in season 2.